What the Heck Is Exploding Head Syndrome? Although it sounds like the basis for a Stephen King novel, exploding head syndrome is a real condition. And it’s not as painful as it sounds, either. The syndrome is a condition in which a person perceives a loud noise, such as a gunshot, explosion, or loud crash, when falling asleep. As you might expect, whether the noise is real or not, thinking you heard a loud sound right when you’re about to head to dreamland can cause your heart to skip a beat. 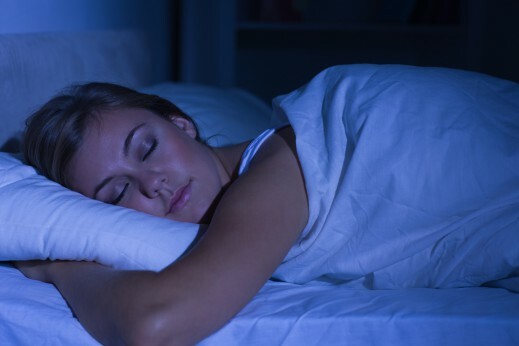 This can greatly disrupt your sleep, which in turn can spur a variety of health problems. Little is known about Exploding Head Syndrome, and people’s experience of it varies. Some people may have multiple “attacks” in one night, while others have them rarely. Researchers aren’t sure why this occurs. It may have something to do with being extremely tired or stress or even having minor seizures. The condition seems to be more common in women than men and usually starts after age 50. The main symptom is an imagined sudden loud sound or explosion in your head just before falling asleep or right after waking up in the night. Exploding head syndrome can disrupt your sleep, making it hard for you to get a full night’s rest, especially if it happens frequently. A sleep medicine specialist can help diagnose your problem and develop a plan to help you sleep better. The American Academy of Sleep Medicine recommends that you keep a sleep diary for two weeks. This will help your doctor get a better sense of your sleep habits and see if you may be experiencing any other sleep disorders. Also, note your stress levels to see if that increases the attacks you experience. If there’s a connection, look for ways to reduce your stress before bed, such as meditating, taking a walk, or reading a book. Keep a consistent sleep routine, going to bed and waking up around the same time every day. Having good sleep hygiene can help with a range of sleep disorders. Learn more by contacting the experts at UPMC Sleep Medicine. Is Sleeping Beauty Syndrome for Real?